I know I mentioned last week that I was going to post a tutorial for some of the awesome jewelry you can make with the tiny paper quilled roses that I showed you how to make. However, I’m still working on the photos, so hopefully I’ll have that up in a few days! In the meantime I didn’t want to miss posting weekly, so I’m interrupting today with a new type of post! 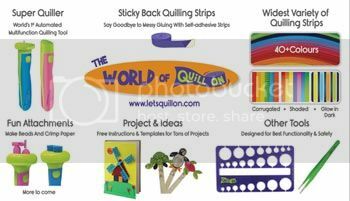 I mentioned in my yearly review that I have been getting more and more questions about how to set up online shops, where to set up online shops, how to market your quilled jewelry or supplies, how to get started, how I got started, etc. So I am going to do a series of posts answering those and other similar questions. Today’s post will focus on how to set up a stand alone online shop (meaning it’s not part of a marketplace) selling crafting supplies. Specifically I’ll talk about your choices in what kind of website you can have for your shop. 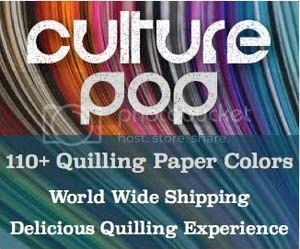 Of course, you can take the info here and apply it to other crafts besides quilling or any other products, but I will talk about it as if it is craft supplies. So, you want to sell craft supplies! Yay! If you are a crafter yourself, it can be quite fun to sell supplies since it means you get to order more supplies 😉 It also means you get to try out the supplies yourself if you want, what fun! So do a little “yay crafting” dance, and then sit back down here to read the rest of this post. Done with your dance? Okay, time to get to the serious stuff. You can have what is called a “blog shop”. A blog shop is basically a free or self hosted blog where you list your craft supplies that you have for sale, and the prices. Customers are not able to order directly from this type of site. You will need to let them know that they need to send you an email with their order. This is the cheapest type of online “shop” since you can even host it on the free blog services such as wordpress.com or blogspot.com, among others. The downside is that it is not as convenient for customers and if you host it on the free blog site, you have a lot of limitations for design. It will not be as easy for customers to see all of your supplies unless you put them all in one post or on one page. If you would like to go a step up from a free blog shop, you can have a self hosted website. This gives you MUCH greater freedom in designing your little shop. If you are new to hosted websites, it means you have to sign up for a webhosting service, register your desired domain (url), and then start setting up your website. There are SO many ways to do this and companies to go through, so I will just tell you what I did. I signed up with dreamhost.com and registered my url of honeysquilling.com I then did an easy install of wordpress on my website through my main page on dreamhost. It was super easy and I was already familiar with wordpress since I used a free wordpress blog for a few years. There are many other hosting companies as well. I chose dreamhost because it was on a list of hosts that work well with wordpress and I already knew I wanted to use wordpress. I have had no problems with it. The times when I needed support I got support quickly and thoroughly, so I’m happy with it! Once I installed wordpress all I had to do was find a theme I liked and get started! This option gives you MUCH more flexibility and you can set up your shop all pretty-like. There are many free themes out there, so have a search. I tried some free themes and I tried some paid themes, and then I finally settled on using Elegant Themes. I decided on those since I can just pay one fee and I get access to dozens of awesome themes, so I can switch any time I’d like! And they are much better coded than most free themes, so your site will work faster. They even have some themes that are specifically great for shops! You can open an online shop on a dedicated ecommerce platform. There are many to choose from, just google “ecommerce platform” or “open an online shop” and you’ll see loads of options. So how do you choose? What I did was do many many google searches, narrow it down to a few that sounded good, and then do more google searches for comparisons. I read comparison articles, looked at comparison charts, etc. I spent a long time choosing. In the end I had three that I was choosing from. I did a free trial of each so I could see how they looked and worked. I narrowed it down to my favorite, and signed up! So what did I choose? I went with Shopify as it was within my budget, it was easy to use, super secure, had all the features I was looking for, and it looked great. It has been a dream working with my online Shopify shop for over a year. If I wasn’t stopping selling supplies, I’d definitely keep it on, as I love the layout and ease of use. Highly recommended! A free blog where you list the craft supplies and prices and customers will email you to order. A self hosted website/blog that is set up like a shop with some sort of ecommerce plugin like woocommerce and you can accept payment through paypal. An online shop set up through an ecommerce platform such as Shopify. Usually this is the more expensive option, but I found it worth it for ease of use and not having to worry about things like the website getting slow, bugs with plugins, etc. etc. So easy! I think this is a good start for today! Next time I’ll talk about another choice for opening an online shop – using an ecommerce marketplace! *This post contains some affiliate links. If you make purchases through the affiliate links I get a small percentage (at no extra cost to you!). I only link to products/services that I believe in and/or love to use myself. Thank you for supporting my blog! The recap at the end is very helpful… To be selling supplies do you stock the products in bulk beforehand? Also do you decide the prices or do they come with an MRP? I don’t stock in huge bulk, but I do only sell what I already have in stock, so I stock at least a few of each item. Items do come with a retail price, but since I sell products that are from overseas, I have to factor in overseas shipping and import taxes into my prices as well, so I do have to do some calculating. Hi 🙂 I’d suggest looking for some local craft fairs, or opening a little shop in an online marketplace. You can do your marketing on facebook, blog, twitter, etc. or whichever social media you are most comfortable with!